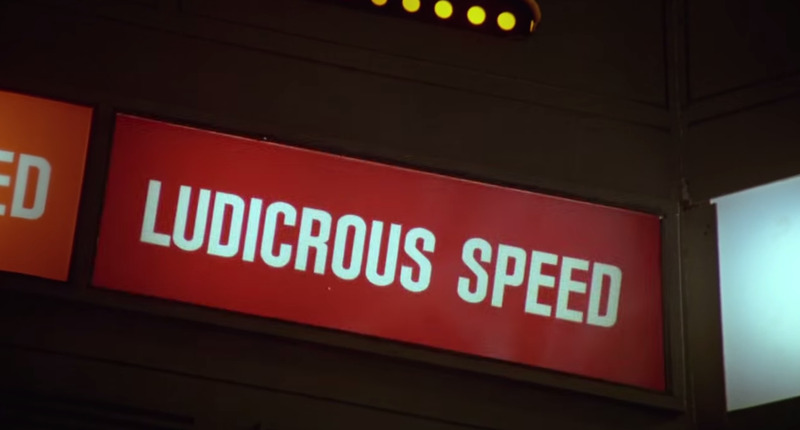 TeslaAn A-plus for the new Tesla Roadster! At the end of 2016, I made some predictions about Tesla. A year later, I’m grading myself on how I – and Tesla – did. On balance, Tesla got a higher GPA than I did. A year ago, I took a gander at everything Tesla had in store for it in 2017 and made some predictions. As the carmaker heads into an even more challenging 2018, I thought it would be worth a look back to grade both Tesla and myself! “Tesla’s mass-market vehicle, which will be priced at around $US30,000 after tax breaks and serve up 200 miles of range on a single charge, is scheduled to launch in late 2017,” I wrote. Tesla launched the Model 3 in July, ahead of schedule and ahead of my expectations. Note that I didn’t grade Tesla on actually building the Model 3. On that score, Elon Musk would probably give himself an F-, as the new vehicle has massively lagged its ambitious production targets. I’m taking the hit for that myself in my grade. I should have seen it coming and expressed more than sidelong scepticism. “The first important product from the Tesla-SolarCity tie-up will be the solar roof,” I wrote. The solar roof isn’t as far along as it should have been by this point. Tesla said mid-2017 for a rollout, but it later pushed that back to 2018. Again, not good for either me or Tesla, but Tesla does worse on this one. I still like the product, and my prediction wasn’t as linked to the timetable. Obviously, I get a lower grade in 2018 is the solar roof suffers more delays. “Musk has done a complete 180 on car sharing, likely compelled by Uber’s success and by the advent of ride-sharing and car-sharing schemes from traditional automakers,” I wrote. The Tesla Network is pretty much nowheresville at the end of 2017. Better luck in 2018! I get the lower grade because I was pushing the idea, while Tesla was just dropping suggestions. Alexis Georgeson/TeslaA Tesla Model S parked at a Supercharger station. 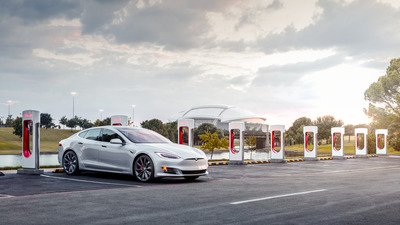 “Tesla is changing the way it manages its Supercharger network,” I wrote. This was an easy A for both of us. Tesla knows that the Supercharger network is vital and in 2017 it even opened a new “Mega Supercharger” in California, to provide a higher level of service. The company also introduced more compact urban Superchargers. Tesla also continued to wisely restrict unlimited free Supercharger access, knowing that as more Teslas hit the road, being unable to re-juice on journeys will be a real problem for many owners. Tesla didn’t set up a joint venture – it went one better, raising the prospect of building a new factory in Shanghai’s free-trade zone, avoiding the JV altogether. It might or might not happen, but it would be the first time since the JV system was established in the 1990s that a new carmaker enters the China market without the JV burden. Of course, Tesla would still have to pay an import tariff, so it’s not an unqualified home run. And Tesla has to actually to actually spend the money to build the plant; a plus for the JV deals is that the partners split costs. But top grades all around for this prediction. “Musk seems to want to go back to vertical integration,” I said, pointing out that the rest of the auto industry has moved away from it. While Musk’s ideas were discussed, they didn’t have much impact in 2017. Although the company did make a couple of acquisitions to accelerate the automation of its production processes, and Musk continued to stress the importance of this huge objective – improving the machine that makes the machines. “As the big story in the car business has shifted from electric cars to self-driving vehicles, we can expect Tesla to double down on its Autopilot advantage, even as it continues to deal with the aftermath of a fatal Autopilot-related Tesla crash in May 2016,” I wrote. Tesla actually fell behind on self-driving in 2017, as rival technologies such as Cadillac’s Super Cruise arrived and General Motors and Cruise Automation debuted self-driving Chevy Bolts in San Francisco. Autopilot is still among the best semi-self-driving systems available, but it still hasn’t been able to meet Musk’s goal of taking a car completely across the USA with no driver input.That might happen in 2018, and beyond the stunts, more Autopilot-equipped Teslas will hit the road, allowing many more people to experience the tech and improve it through network effects. 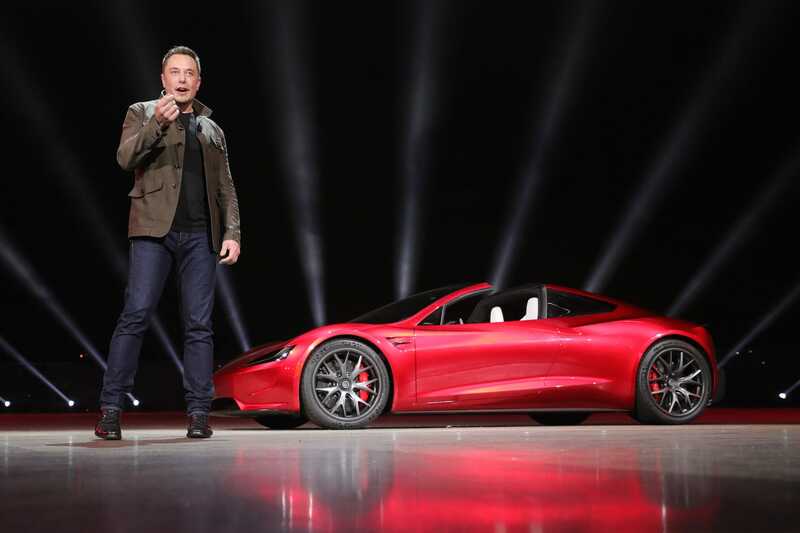 “Tesla has been hinting that it will update its first vehicle, the no-longer-available Roadster, with a new model,” I wrote. Boom! Nailed this one. 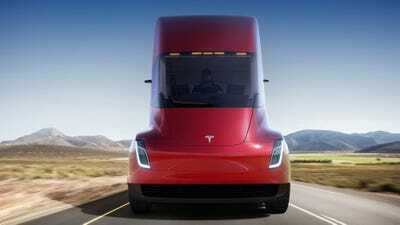 Tesla did indeed reveal the new Roadster when it also revealed the Tesla Semi in November. And the base wasn’t just energised – it had its minds knocked out of its skulls, just as Musk predicted. A real thrill for longtime Tesla fans. The car is also triple-insane. When built, Tesla says it will be the fastest production car on Earth, with a 0-60 mph time that breaks the two-second barrier. 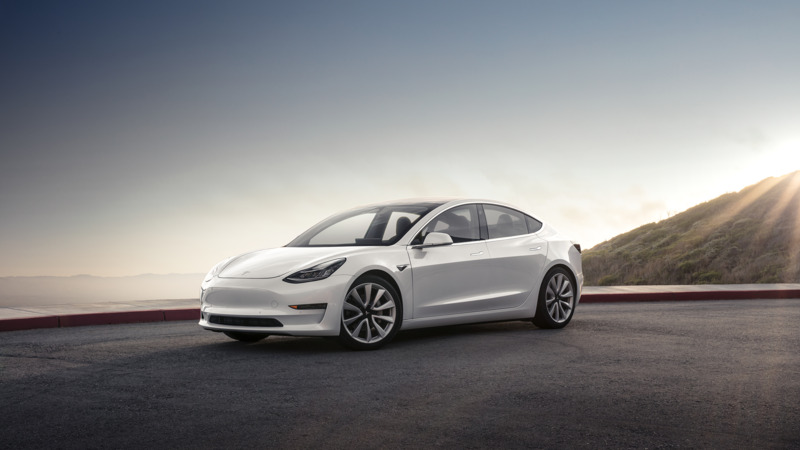 “We already know what the Model 3 sedan will look like, and Tesla’s goal all along has been for the Model 3 to be a platform on which different types of vehicles can be built,” I wrote. No Model Y unveiling in 2017, so a low grade for both of us here. On the plus side, Musk did admit when the Model 3 was launched that he had accepted the advice of his executive team and decides to keep the Model 3 and Model Y on the same engineering platform. Earlier, he’d said that the Y would be all-new. The Model Y must show up in some form in 2018. The US auto market has shifted away from passenger cars to crossover SUVs, and Tesla needs to be selling more than just the Model X SUV. Oh well. I was totally wrong. Better luck in 2018! Tesla gets a B because the company launched a great big Tesla Semi in 2017, something much cooler than a pickup. And at the launch event in November, Musk showed a design rendering of a Tesla Semi that had been turned into a huge pickup, so extra points for that. At least it’s still on the drawing board. “Tesla has managed to burn less cash in 2016 than expected, but cars are a capital-intensive business, and the money won’t do Tesla any good if it can’t launch the Model 3 on time,” I wrote. We can debate the merits of Tesla’s capital-hungry ways, but the bottom line is that the company did indeed do an equity raise in early 2017, as the stock price was surging to new heights. I gave myself a B+ because I was right about the equity, but didn’t foresee an additional debt issuance, Tesla’s first foray into the junk-bond world. 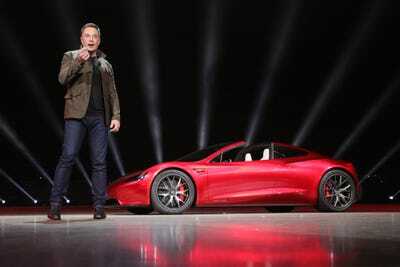 It was very successful, bringing in almost $US2 billion at yields that raised eyebrows and make some analysts wonder whether Tesla had Wall Street wrapped around its finger. Volatility? 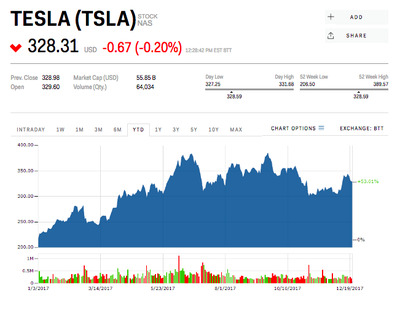 Try a stock price that blasted to record levels through the first half of 2017 and caused Tesla’s market capitalisation to zoom past Ford, Fiat Chrysler Automobiles, and even General Motors for a while. Tesla gets the good grade here just because. Investors clearly didn’t invest in big up-and-down swings. I didn’t see it coming, and when I did finally say the stock might hit $US400, it began to slip back. So I was double-wrong. “A Trump White House and executive branch may not be all that receptive to Musk’s grand vision of accelerating humanity’s departure from the fossil-fuel era,” I wrote. Musk quit Trump’s business council when the US pulled out of the Paris Climate Agreement, short-circuiting his hopes to getting the country to sign on to a carbon tax. 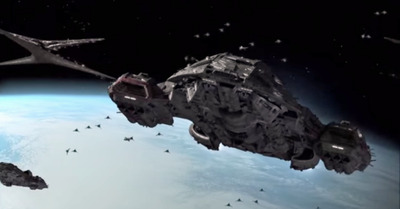 I could see what Musk had in mind, but he didn’t play the politics well, although I commend him for giving it a shot. It wasn’t really Musk’s job to update his plan, which he didn’t. He mainly reinforced it. I get the fail here because I expected him to refine and adjust. Might have to wait another ten years. See the Roadster prediction above. Yep, we got Maximum Plaid in 2017, in the form the new Roadster with its predicted 0-60 mph time of 1.9 seconds – bonkers faster than Ludicrous Mode.